The Collective NY re-staged their production of THE BRAZILIAN DILEMMA by William Fowkes with the original cast (Robert Z. Grant and Karen Chamberlain) December 9-13, 2016 along with 2 other Collective NY 10-minute plays from past festivals, two new 10-minute plays, and a different surprise stand-up from Comedy Central's Inside Amy Schumer each night in an event called C:10 COMEDY. Celebration Theatre in Los Angeles has announced that SUNSHINE QUEST, a Play in Two Acts by William Fowkes, will be presented in a reading at the Chambers of the West Hollywood City Council as part of their "Celebrating New Works Series." The reading will occur in 2016. (Details to come.) SUNSHINE QUEST had its world premiere at the Fresh Fruit Festival in New York, July 2014. SYNOPSIS: It’s the Year of our Lord 1999. 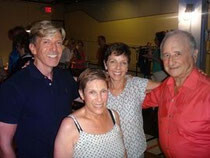 Retired gay men flock to the Sunshine QUEST Club in Fort Lauderdale, FL for dancing, companionship, flirtation, and nonstop fun. But not everyone is waiting for them with open arms. Broadcast of TABLE MANNERS IN SANTA MONICA announced for 2016. TABLE MANNERS IN SANTA MONICA, a 10-Minute Play by William Fowkes, was recorded this month for broadcast on KUSF 90.3FM (San Francisco) & the Public Radio Satellite System in March 2016. More details to come. This play was produced twice in New York (2011 & 2012) and was published in the Summer 2013 issue of CLOCKHOUSE REVIEW, the literary journal of Goddard College. The Sundog Theatre presented a reading of MANHATTANIA!, a comedy by William Fowkes, at Gallerie St. George, 11 Phelps Place, Staten Island, NY at 8PM on October 15, 2015. MANHATTANIA! is an evening of 4 previously produced one-act plays by William Fowkes, including THE SESSION, NOT HERE YET, THE DAKOTA, & MUSEUM PIECE. THE NEXT MOVE, a Play in One Act by William Fowkes, was presented at the Silver Spring Stage 2015 One Act Festival at Silver Spring Stage, Silver Spring, MD. Performances at 8PM, Thursday, August 20; 8PM, Friday, August 21; 8PM, Saturday, August 22; and 2PM, Sunday, August 23. (Pictured in photo: William Fowkes (playwright), Shelley Rochester (Roberta), Lennie Magda (director), and Richard W. Blank (Donald). NOT HERE YET, a Play in One Act by William Fowkes, was named a finalist for the Warner International Playwrights Festival, Torrington CT, 2015. This play was produced by Love Creek Productions at the Producers' Club in New York City as part of their Autumn One Acts Festival, September 2012. In this play, two women struggle to dominate their very small piece of real estate in Midtown Manhattan. 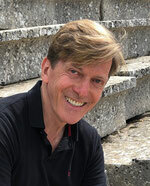 THE SEEKER, a Serious Comedy in Two Acts by William Fowkes, was a SEMIFINALIST for the Princess Grace Playwriting Award. SYNOPSIS: While in a coma, a gay man finds himself on a TV show about his life. Emceed by a bad borscht belt comic, the show features a parade of figures, real and imaginary—including Liza Minnelli, Dolly Parton, his long-dead parents, and many others. Right on the heels of its world premiere at the Gallery Players' Black Box New Play Festival in Brooklyn, MISS PEDDY & GRACE will be produced on the other side of the country at the Pend Orville Players' One Act Festival in Newport, WA. MISS PEDDY & GRACE, a Play in One Act by William Fowkes, had its world premiere June 11-14, 2015 at the Gallery Players' 18th Annual Black Box New Play Festival, Brooklyn, NY, starring Pauline Walsh and Rebecca Smith (pictured below). Directed by Noel MacDuffie. Assistant directed by Eric Ort. SYNOPSIS: Caroline Peddy, an experienced and dedicated caretaker of elderly loved ones, may soon be available for hire. Then again, her current charge, octogenarian Grace Butler, sees her in a different light and has a different scenario in mind. PRIVATE PROPERTY, a full-length play by William Fowkes, was presented in a reading by the Pulse Ensemble Theatre Playwrights' Lab (under the leadership of Lesley Steele) at the Ellington Room at Manhattan Plaza in New York City, April 20, 2015 at 7:30PM. The reading of this "dark entertainment" was directed by Alexa Kelly. Featuring Vincent Bagnall*, Jonathan Hicks*, Thomas Leverton*, Camille Mazurek*, and Mitch Tebo* (*courtesy of AEA). SYNOPSIS: An older gay couple and their long-suffering housekeeper have been living together for decades in the woods of of northeastern Pennsylvania, where they have amassed a curious collection of houses, each decorated in a different style. But when an inquisitive reporter comes snooping around, more than just their privacy is threatened. SYNOPSIS: Bucolic Humbert College in the Finger Lakes District of upstate New York provides the setting for a tale of ambition, professional jealousy, thwarted love, unrealized goals—and the meaning of one man’s life. Ned Jenkins, a peripatetic junior philosophy professor hoping finally to settle into a tenured position, arrives at Humbert intrigued and amused by the colorful characters populating the faculty. Soon enough, he winds up in romantic entanglements and professional quagmires, including a bitter tenure struggle that divides the whole campus. Through it all, he discovers that he may be an expert in philosophy and aesthetics, but he’s a rank amateur when it comes to self-knowledge. Thespian Production produced and presented HARASSMENT, a 10-Minute Play by William Fowkes, at the Whistling With Slush in My Shoes Spring One-Act Play Festival at the Joria Mainstage Theater, in New York City April 23 & 25. This play was previously produced at the Colonial Playhouse's Colonial Quickies Festival in Aldan, PA, July 2013, and was presented in a staged reading at Abingdon Theatre's Moral Dilemma Comedies Benefit Challenge in New York, October 2011. MISS PEDDY & GRACE, a Play in One Act by William Fowkes, was named SEMI-FINALIST in the Drury University One-Act Playwriting Competition. SYNOPSIS: Caroline Peddy—an experienced and dedicated caretaker of elderly loved ones—may soon be available for hire. Then again, her current charge, octogenarian Grace Butler, sees her in a different light and has a different scenario in mind. CAMILLE MAZUREK has won the Fresh Fruit Festival's OUTSTANDING SUPPORTING ACTRESS AWARD for her performance as Mary King in my play, SUNSHINE QUEST. The award will be given to her at a gala in April. Congratulations, Camille! The Unitarian Universalist Congregation at Shelter Rock in Manhasset, NY presented a reading of A FIELD GUIDE TO TABLE MANNERS (now called THE HUDSON FAMILY GUIDE TO TABLE MANNERS) in their Dramatic Readings series on January 17, 2015.